When a Good Mattress is Not Enough! Prescription sleep medications are handed out by physicians to nearly 3/4 of their patients who complain of chronic insomnia. These medications are varied in strength and can be effective for some people for short-term use, but one question you may want to ask is whether or not these medications are safe to use? We'll look at the most commonly prescribed sleep medications, the benefits and drawbacks of them, and possible dangerous side effects. We're also going to share with you some of the most effective alternative and natural options available to you that can help you get a good night of sleep regularly. 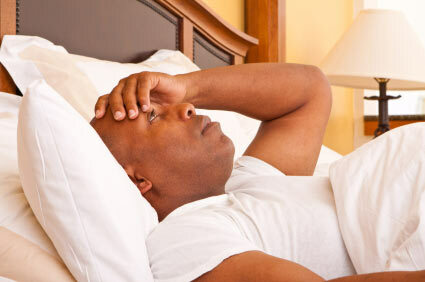 Most often, insomnia or sleeplessness has a physical or psychological origin. Sleeping pills or medications simply treat the sleeplessness, not the actual reason you're not able to sleep at night. Psychological causes for insomnia could include: anxiety, depression, traveling, stress, or major life changes. Physical reasons for sleeplessness could include: chronic pain, hormonal changes - women, genetics, and decreased levels of melatonin in the body as you age, to name a few. These types of sleeping pills have been around for several years and are designed to remain active in your body for more hours during the night in an effort to prevent sleepwalking, sleep driving, sleep eating, or even nightmares. Common brand names are Valium (Diazapam), Serax (Oxazepam) and Ativan. Benzodiazapines are also used to treat anxiety and they work well as a sleep aid for those people who tend to feel anxious at night. Older people should avoid these types of prescription sleep medications because they can cause confusion and loss of coordination and fine motor skills. Ambien is the first pill released for sleeping difficulties, but as people used it, they realized they were waking up in the middle of the night and were not able to fall asleep again. The Ambien CR is the most recent release of this type of sleeping pill and it's designed to stay in the body longer so you will get a full night of sleep. People who suffer with respiratory problems, kidney disease, depression, or liver disease should not use Ambien. These types of medications contain an ingredient that tells the brain you're ready for sleep. Some people respond well to this type of drug for sleeplessness because they're suffering from anxiety or mild depression and have insomnia as a result. Some people find that antidepressants simply make them feel strange and they do nothing to help them sleep. Anyone who already struggles with thoughts of suicide, has liver disease, or is pregnant or nursing shouldn't take antidepressants. Prescribed mostly for those with a melatonin deficiency that causes them not to be able to sleep through the night. The good thing about this one is that it is not classified as a controlled substance and therefore is safer than some of the other prescription sleep medications on the market. You shouldn't use Rozerem if you're nursing, pregnant, or if you have struggled with or are struggling with depression, respiratory issues, kidney disease, or sleep apnea. Lunesta is designed to help you stay asleep for 7 to 8 hours, so it's prescribed to people who wake up through the night. Anyone who has a history of the following conditions should not use Lunesta: depression, anxiety attacks, alcohol abuse, drug abuse, lung disease, or metabolic medical conditions. The television commercials for Lunesta mention, in passing, that one of the side effects is that you may engage in activities that you do not remember! Designed specifically to help people who have difficulty falling asleep, but not for those who can't stay asleep or who wake up earlier than desired. It's classified as a hypnotic drug used mostly for insomnia. Anyone who suffers or has suffered with respiratory issues, kidney disease, depression or anxiety, or liver disease should avoid this drug. Pregnant women should not take Sonata. Triazolam is prescribed for short-term insomnia. Anyone pregnant or nursing should not take this medication, nor should anyone who has liver disease or respiratory conditions. Some physicians will prescribe low doses of what are called atypical antipsychotics because they can help people fall asleep if they're struggling with insomnia. Make no mistake however; these are not the best choice for prolonged use for insomnia due to dangerous side effects. Be sure to talk to your doctor about the specific side effects of the medication he prescribes to you. These are just a few of the potential side effects of prescription sleep medications. Even medical professionals will admit that most cases of insomnia or sleeplessness can be cured or at least helped by simply making changes to your lifestyle. Here are some non-habit-forming and healthy methods for getting a better quality of sleep. Create a bedtime ritual. Do the same things each night so your body learns to prepare for going to sleep. You might get washed up, take a bath, drink some tea, or read a book before climbing into bed. Do whatever it takes to relax your mind and body. Go to bed at the same time each night and rise at the same time every morning. Again, train your body so it knows what to expect. A light snack before bed can also be helpful, but be sure to avoid high sugar items or heavy carbohydrates. Good snack choices include bananas, rice cakes, toast, or chicken. Avoid drinking caffeine or alcohol before climbing into bed. Sleeping on a supportive and comfortable mattress is key to getting a good night of sleep too! :-) That's what we're all about. Make sure you have a supportive pillow as well so your head and neck are well supported. Engage in regular exercise every day! Inactivity contributes towards insomnia and there's nothing quite like getting a good workout and then being really tired wehn you go to bed. Remove all distractions from the bedroom so the main purpose of that room is for sleep. Remove computers, televisions, treadmills, or anything else that might cause you to think of anything other than sleeping. Natural or herbal supplements that help induce sleep include melatonin, magnesium, calcium, and 5-HTP. Drinking tea with chamomile, passionflower, or valerian root is also helpful right before bed.